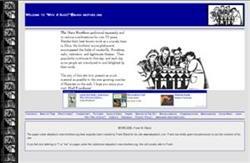 Extensive, Marx Brothers biography, filmography, bibliography and discography covering all aspects of their individual and group work in theatre, film, radio, television and publishing. 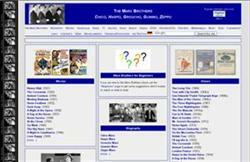 Extensive virtual Museum with large collection of Marx photos, posters, books, records and videos. 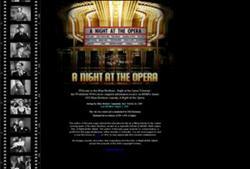 A complete collection of sounds and pictures from the classic 1935 Marx Brothers movie, A Night at the Opera, one of the greatest comedies of all time. 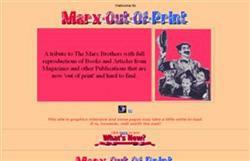 Reproductions of books and magazine articles about the Marx Brothers that are now out of print and unavailable. 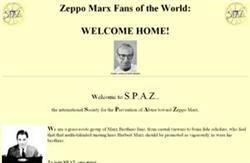 The Society for the Prevention of Abuse toward Zeppo Marx. 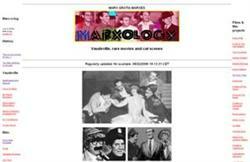 A group of Marx Brothers fans, who feel that that multi-talented unsung hero Herbert Marx should be promoted as vigorously as were his brothers.